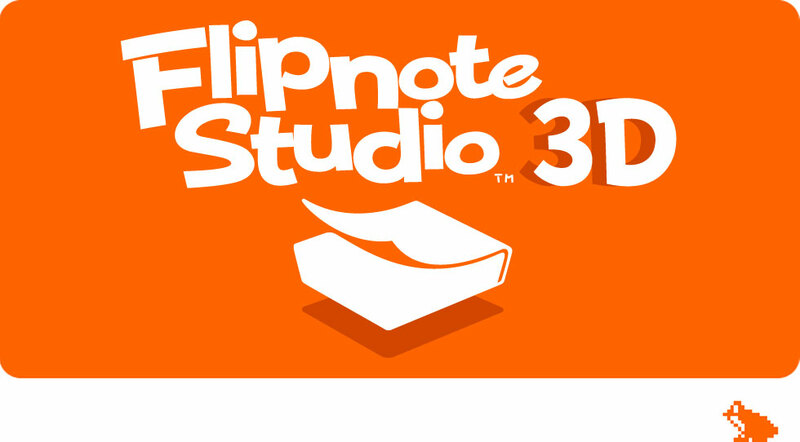 Flipnote Studio has received a new update, with Nintendo issuing version 1.0.1. It’s largely tied to the new 3DS firmware that went out last night. Because of that 3DS update, the old version is blocked from starting. You’ll need to update Flipnote Studio 3D in order to play it again. Note that the update process is somewhat different here. To get the latest version, visit “Your Downloads” on the eShop. Nintendo has some maintenance lined up for Flipnote Studio 3D next week. Network services will be impacted for a couple of hours in a little less than a week from now. Flipnote Studio will be undergoing maintenance in a few days. This will be happening on Sunday for those in North America, or very early in the morning for those in Europe. When the Flipnote Studio 3D maintenance is happening, the app’s network services will be affected. 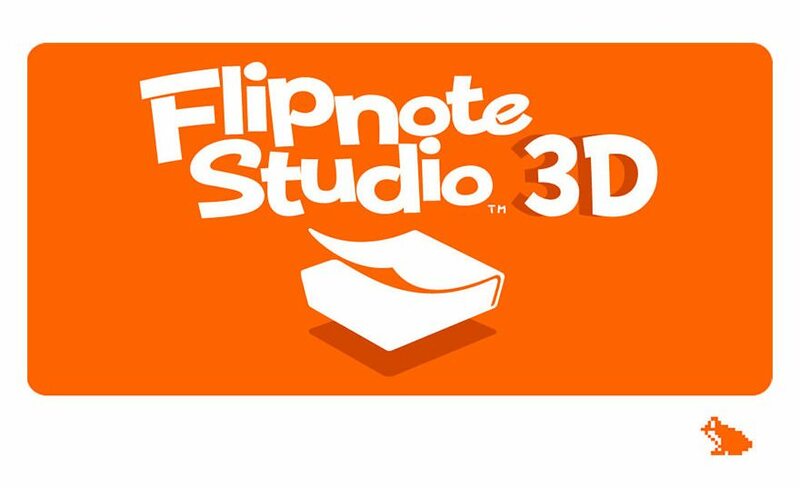 Nintendo of Japan has launched a Flipnote Studio 3D YouTube channel. 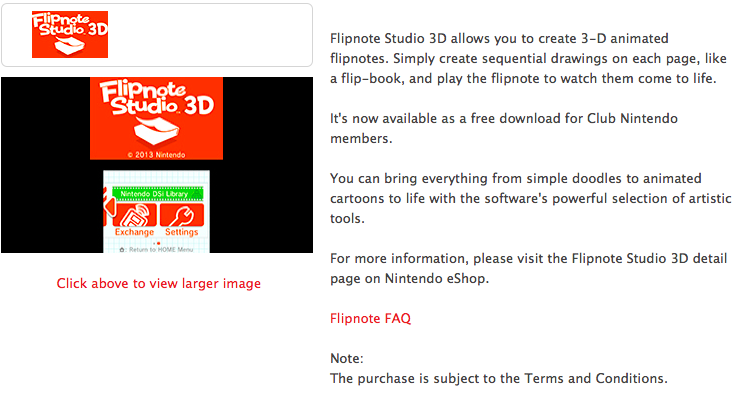 Club Nintendo has made Flipnote Studio 3D available for members starting today. Check your To Do List to download! North American Club Nintendo members were supposed to receive codes for Flipnote Studio 3D sometime this week, but those plans have now been delayed. The rewards section of the website now states: “For Flipnote Studio 3D, please check your To-Do list to receive your download code later this month.” An exact date has not yet been provided. Thanks to Ryan H for the tip. Update 2: Nintendo’s official announcement is in. You can find it after the break. Update: We’re now getting the indication that SpotPass features for Swapnote have been disabled worldwide. StreetPass still appears to be functioning. 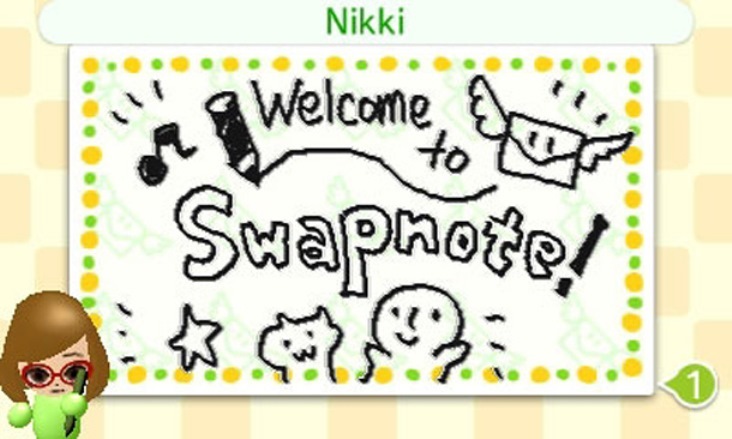 Original: As of now, Japanese 3DS users can no longer take advantage of the ability to share images in Swapnote and Flipnote Studio 3D. Nintendo discovered that inappropriate content was being distributed, which was deemed inappropriate for children. Unfortunately, Nintendo has yet to devise a means of maintaining a safe environment for everyone without suspending online image sharing.